This past weekend (25th and 26th March’17), we participated in Beers & Gears hosted by Cubana Richard’s Bay. Along with US Truck Sales, we set up a display and demo area for customers to experience the ride of their lives! While the weather didn’t play along on Saturday afternoon, we were treated to an absolute party in the evening. With the theme, “Come see and be seen”, Cubana Richard’s Bay sure knows how to draw a crowd! There were ice-cold drinks, fabulous food and DJ’s setting the mood as we mingled the night away with the locals. all. 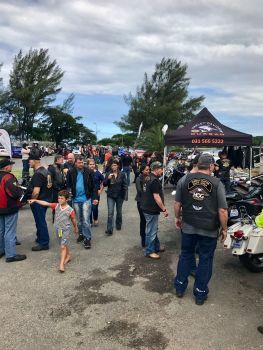 Some of the clubs spotted were: No Rules, Road Hogs, Mega Force, CMA, H.O.G.® Durban Chapter, DOGs Durban, Natal Ratels, Invictus Vecta and Hard Riders. Thank you so much to everyone that took the time to spend Sunday with us! Keep an eye on our Facebook page for future events, we might be in your town next!